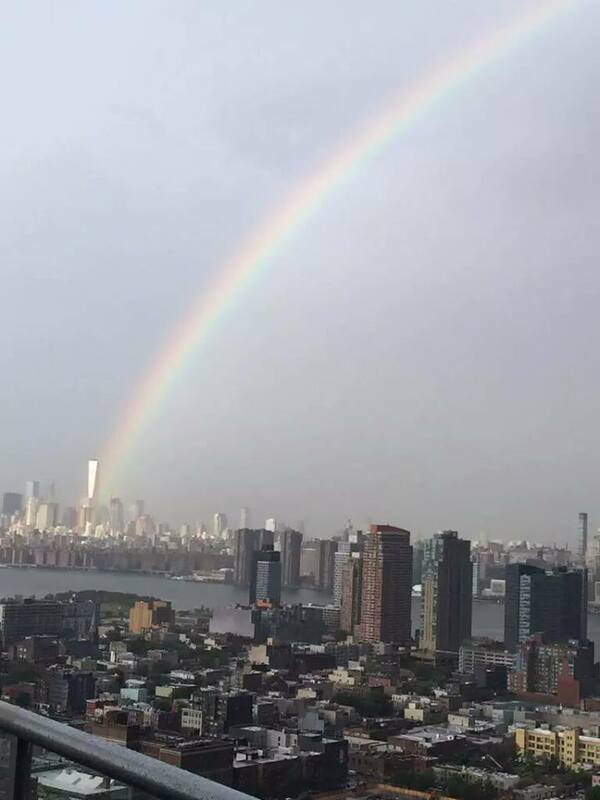 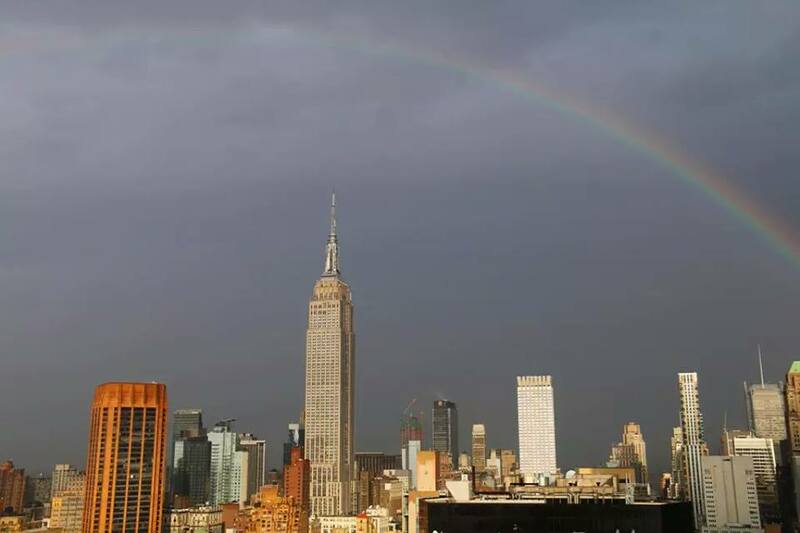 An amazing double rainbow appears in the sky of Manhattan, New York, just above the New World Trade Center just one day before the 9/11 memorial. 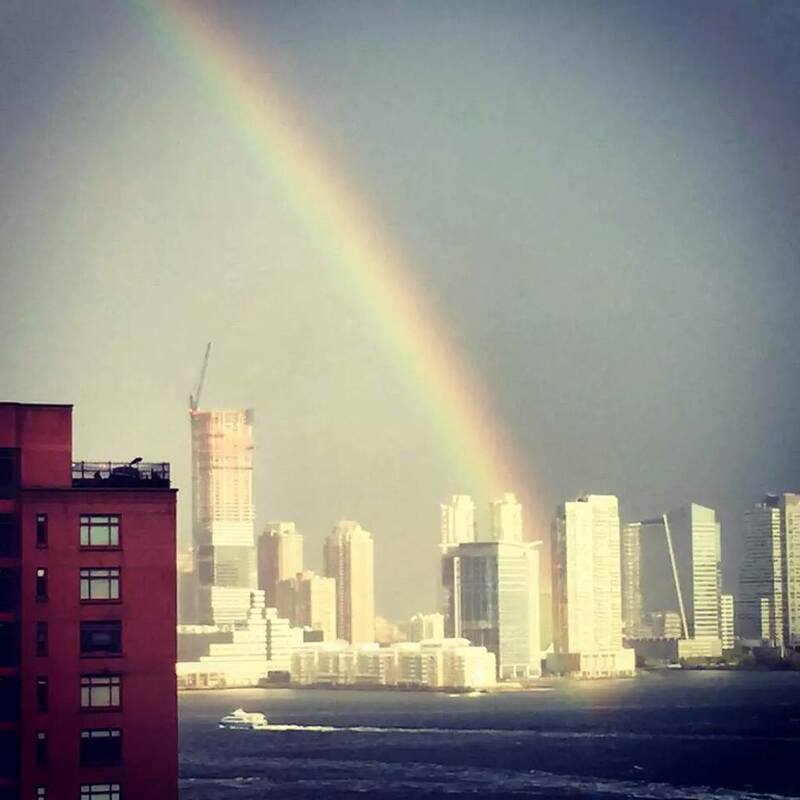 The double rainbow appeared to be right over the new World Trade Center near Ground Zero. 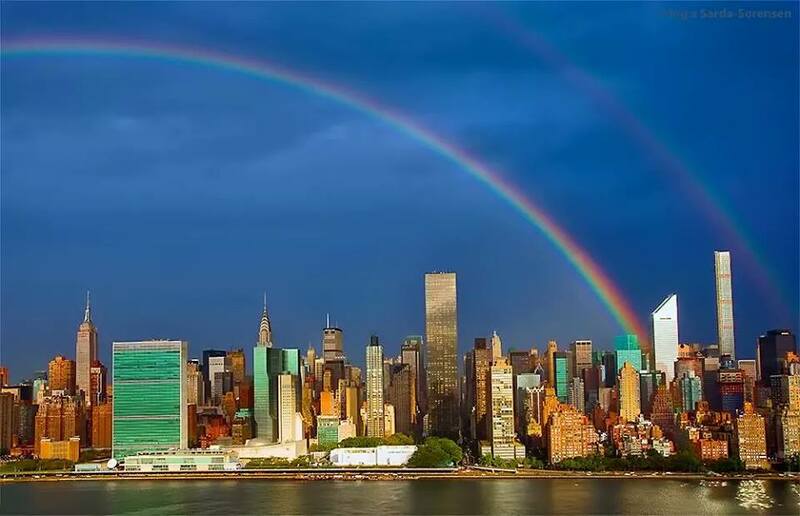 Today will take place the 14th commemoration Day since the terrorist attacks of 11/09. 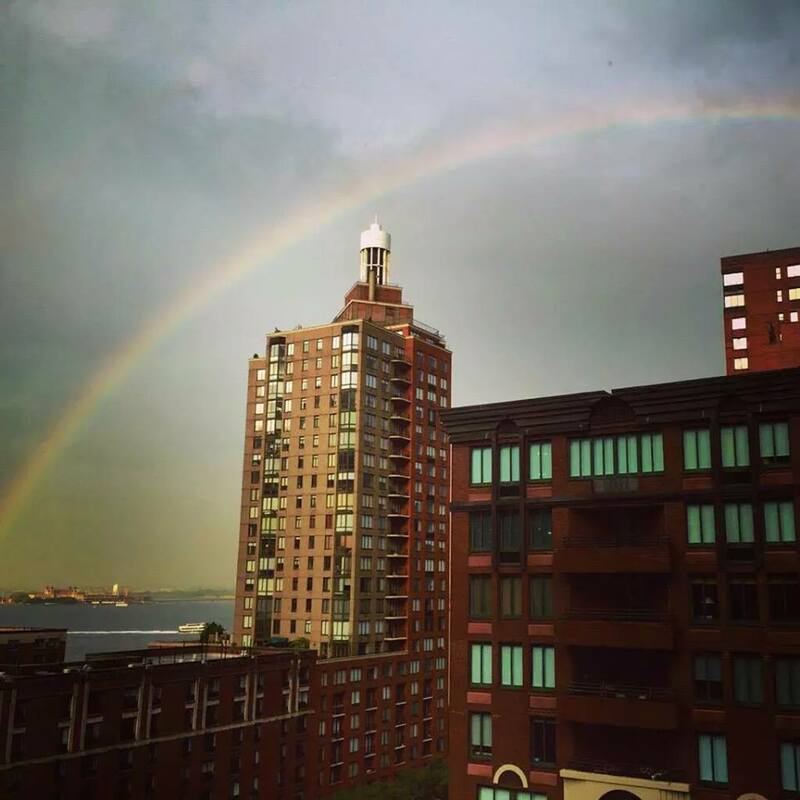 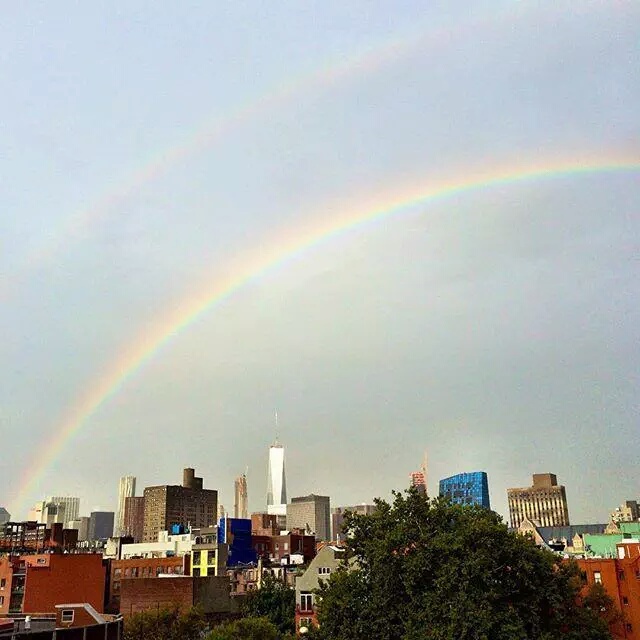 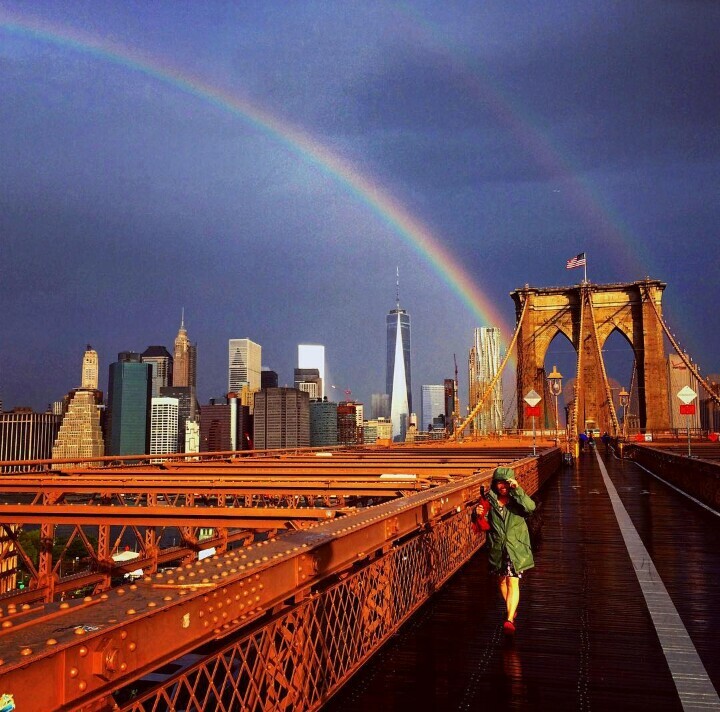 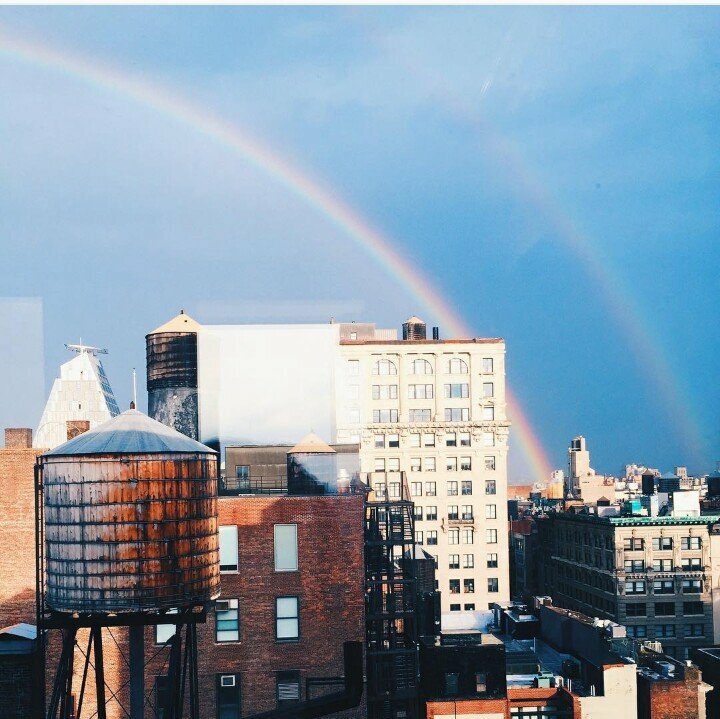 The amazing double rainbow was visible in all of Manhattan at around 8 in the morning today on Thursday, September 10, 2015, during a rain break.